Have you heard of Made from Pinterest? It’s this fantastic website where three sisters share their adventures with trying out things they pinned on Pinterest. 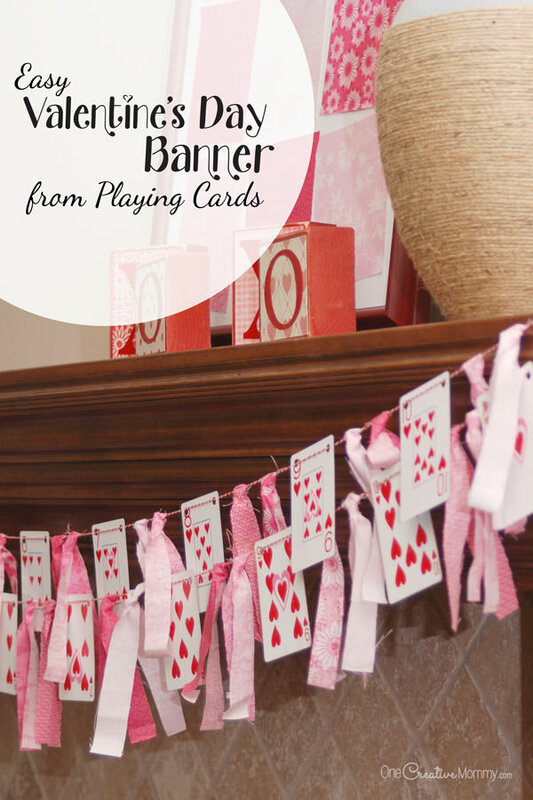 They invited little old me to guest post during their Love Potion #9 series, and since I love Valentine’s Day and their blog, of course I said, “Yes!” Hop on over to learn how to make this cute playing card Valentines Day banner. I combined pins from two great bloggers for my design (I link to them in my guest post), but then I was in big trouble. My kids got some Despicable Me playing cards for Christmas, so we just had to make a banner for them, too! (Don’t worry. I photocopied the cards. They would never have forgiven me for punching holes in their new favorite “rat slap” cards. If you’ve never heard of Rat Slap–in fact, I think it’s called Egyptian Rat Slap–it’s a card game my kids love. It involves being the fastest to “slap” specific cards. As to what it has to do with Egyptians and rats–I have no idea! What do you think? The kids are pretty enamored with it, and I’ll admit, it sure makes me smile! There’s just something about those silly minions that makes me happy. We strung the banner across the kids’ storage lockers, and they’re happy campers. Head on over to Made From Pinterest for the simple tutorial and tips to make sure you don’t make the same mistakes I did! 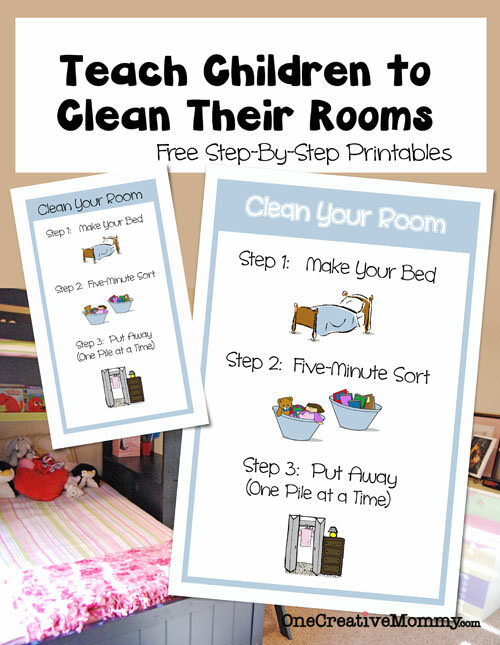 While you’re here, be sure to check out some of my ideas! Images below are linked to posts. Just click on an image to visit a post. Something about hearts and playing cards always remind me of Alice and Wonderland. With that said, have a wonder-ful day and thanks for linking up to the #SCBG2015! Thanks so much. It reminds me of Alice in Wonderland, too! Sorry I missed this comment! Thanks, Jamie. Those are two of my favorite things, too! 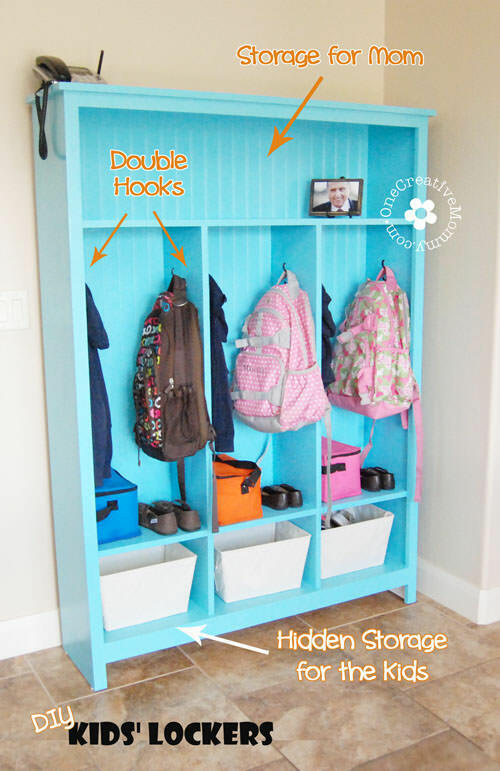 What a cute and super clever idea! 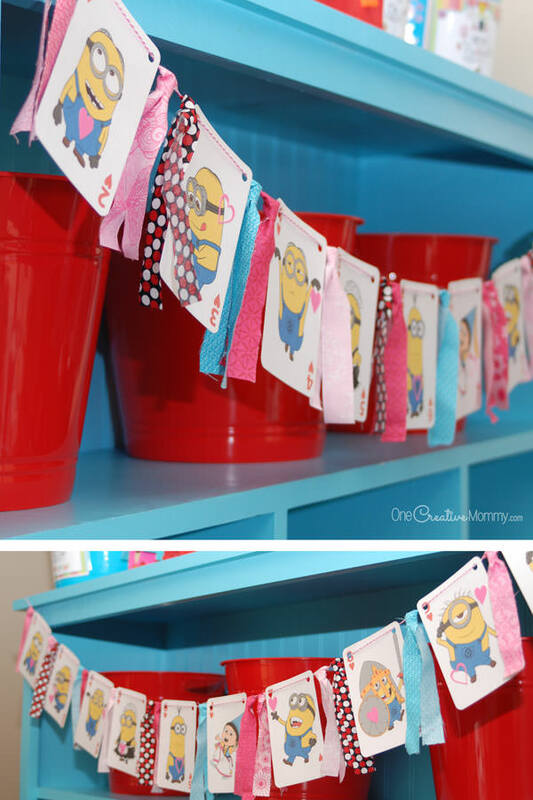 I LOVE this garland….especially the Minion one! Great job and thank you for sharing! PINNED! Thanks, Michelle. My kids liked the minion banner the best, too. My children are found of these cartoons. Well, they are very creative by nature they always busy in their stuff. they made shinchen cartoon banners in for their room..